Business Hours Monday - Friday 8:30 a.m. - 6:00 p.m.
Katie Vetter was raised on the island of Kauai. After graduating as valedictorian from Kauai High School in 2014, she moved to Los Angeles where she attended college at UCLA. After only 3 years in college, Katie graduated from UCLA in June of 2017 with a Bachelor’s degree in Communication Studies. During her time at UCLA, she held four different internship positions in the fields of public relations and television development as well as an office assistant position on campus. She was also an active member of campus Greek life and served as Programming Director of the Fashion and Student Trends club. 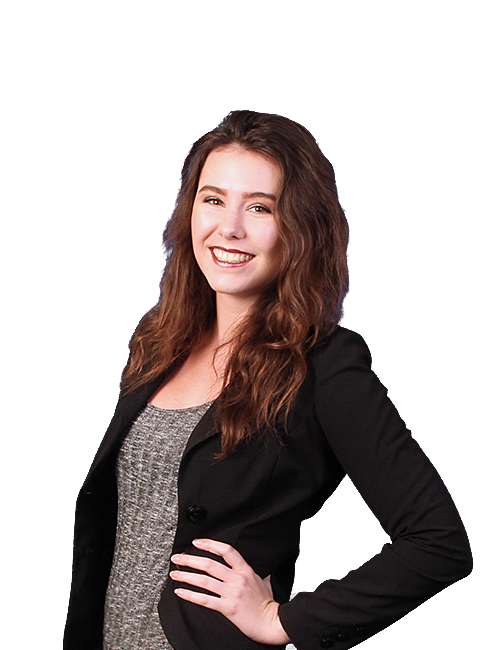 Katie joined Manela & Company as an administrative assistant in 2017 during her final quarter at UCLA. She works closely with everyone in the office; managing incoming phone calls and client visits while assisting in other various tasks such as drafting legal agreements. Katie is the first point of contact for clients who come into the office and she helps address their various questions and concerns.